[UPDATE Jul 19] Closed Beta 2 has Begun! Update (July 19th): We have deployed a small hotfix update to fix issues causing the 10049 and 10060 errors, preventing players from logging into MapleStory 2. Thank you for your patience. Update (July 18th): The issue where players are unable to launch MapleStory 2 if their Operating System was set to Portuguese has been fixed. Thank you for your patience. The Closed Beta 2 has begun! With all of MapleStory 2 to play in but only two weeks time to do it, you'll want to hit the ground running, so make sure you get a handle on the details! If you've been accepted to the Beta, an email was sent to your inbox and the Beta Status Check page was updated with the good news. Just download the Nexon Launcher if you haven't already, log in with the account you used to sign up for beta, install the game, and launch via the Nexon Launcher! Additionally, any prizes you earned via the Road Trip to Closed Beta and Tria's Tournament of Champions events will be delivered to the first character you create during Closed Beta, and those rewards can be sent to other characters on that account. There's two weeks of Closed Beta activities coming up, and beyond all the normal fun we've got a full slate of events to help show you around MapleStory 2! Learn more in the Closed Beta 2 Events post! Mushking Royale is coming to Closed Beta 2 for a special weekend of fun! This new take on the battle royale game mode is our own little experiment and we're looking forward to seeing you dominate your fellow Maplers. Check out the Mushking Weekend Event post for more details! As we approach the full release of MapleStory 2, we're opening up sales of Founder's Packs for those that want to get a headstart when MapleStory 2 officially launches. With exclusive items, Premium Club Membership, and a large cache of Merets, there's an option for every budget! There's only 20,000 Packs available for purchase during Closed Beta 2, so learn more in the Founder's Pack post! All housing blocks and UGC templates are completely free, so that you can create and share to your heart's content. Meso costs for housing plots are significantly reduced from their eventual price on release. Meret Market will be active, however NX cannot be converted into Merets. Maximum level for the Closed Beta will be Lv. 50. Maximum Enchanting level for the Closed Beta will be Lv. 15. Founder's Pack items, including Founder's Merets, will not be distributed during Closed Beta 2. Only Closed Beta 2 access will be granted from the Founder's Packs. We've also made a number of changes to MapleStory 2, based on your feedback from the first Closed Beta and our continued development of the game. Check it out in the Closed Beta 2 Patch Notes post! Our primary goal with the MapleStory 2 Closed Beta is to give you a sneak peek at MapleStory 2 and to get your thoughts on where we're going. While we'll be looking at every piece of feedback closely, we've set up a number of threads on the Closed Beta 2 Feedback Forum that you can use to give us feedback on specific systems and topics. There will also be a survey sent out during Closed Beta 2 to help us gather your feedback, so keep an eye out for it! In the time since the first Closed Beta ended, we've put together more than a few articles about the changes to come, the new features we're adding and much more! 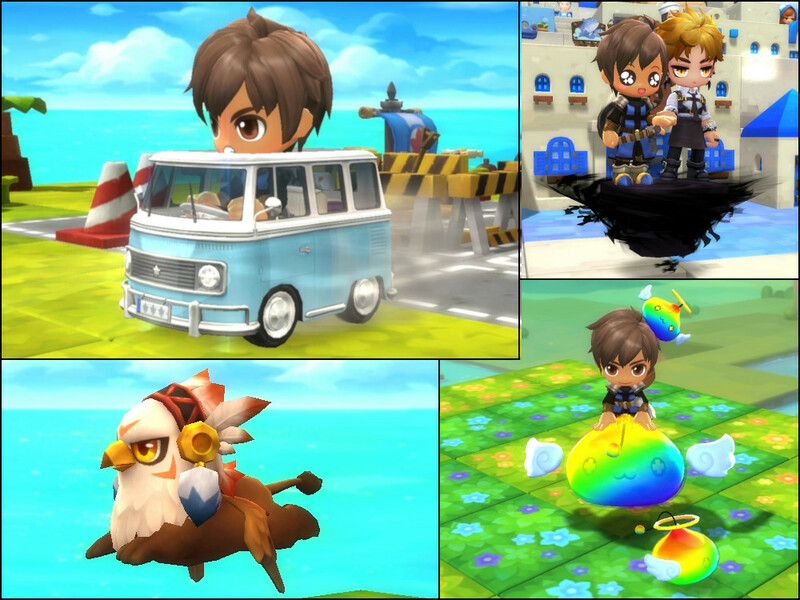 Read up on how MapleStory 2 has been changing and get ready for more fun!